Even though 2017 has been with us for barely three months, we’re already at the region’s peak season for bike riding weather. For our BikeSafe team, this means preparations are underway for Bike to School Day and Florida Bike Month of March. And a special Florida Bike Month it is, with the Florida Department of Transportation commemorating two complete years of Complete Streets initiatives and their Alert Today, Alive Tomorrow campaign. BikeSafe is celebrating these initiatives with an interview series – BikeSafe Community Conversations – throughout the month of March. We have gathered our community’s visionaries to share their ideas about how bicycles can shape our cities towards traffic-free futures suited to our health and well-being. BikeSafe will release a new interview on the last Friday of every week throughout Florida Bike Month. 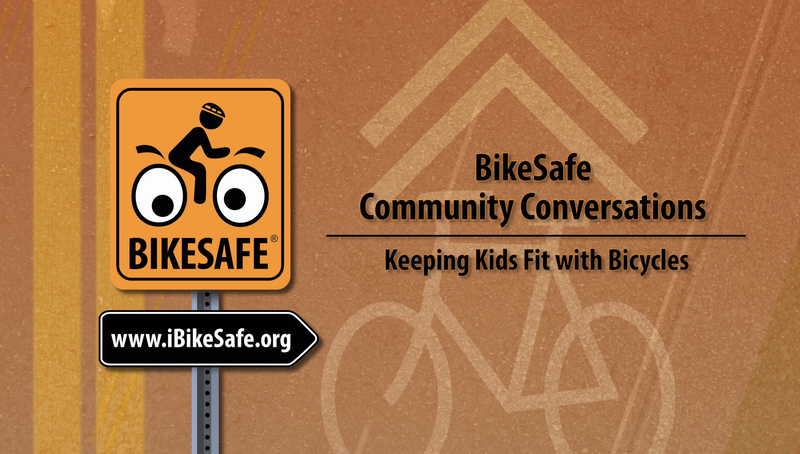 And to get a start on the festivities, our first Community Conversation, “Keeping Kids Fit with Bicycles,” is now live for viewing on YouTube, Twitter, Facebook, and right here from our website. We hope you enjoy it and subscribe to receive word when our next Conversation is released. As always, ride safe, take care, and we’ll see you out there on two wheels.